This is the second edition of a working paper that was first published in 2008. 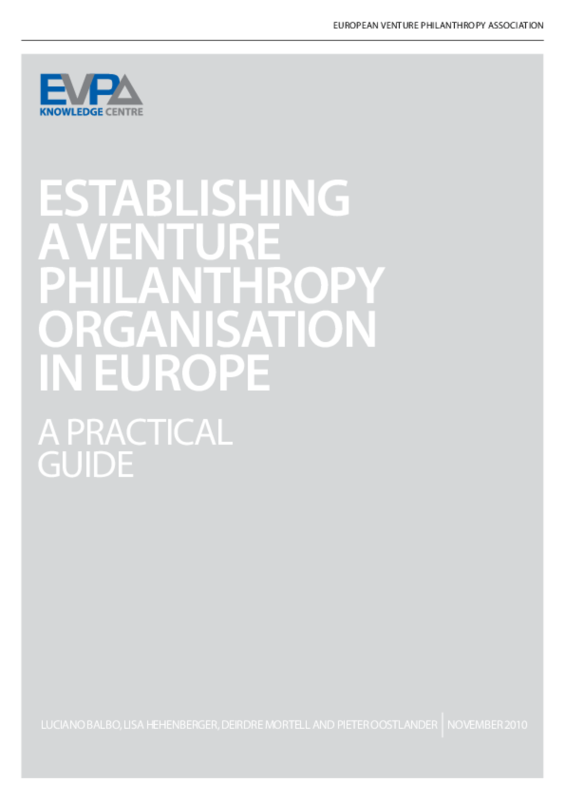 Its goal is to assist start-up or early-stage Venture Philanthropy organisations (VPOs) in Europe by providing an insight into "what works" in a European context. It provides a definition of VP, an account for its evolution and latest developments, and a practical guide to how to set up and run a VP organisation. The new edition takes into account the enhanced experience of existing VPOs, the emergence of new VPOs or new financing instruments and the changes in the financial and economic climates in Europe and around the globe in the past years. Copyright 2010 European Venture Philanthropy Association. All rights reserved.